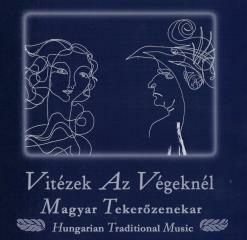 In 1989 one of the most interesting creative workshops in Hungarian traditional music was borN: the Hungarian Hurdy-Gurdy Orchestra. Since then, the band’s 14 members have been working together to preserve Hungary’s 1000 year old hurdy-gurdy music culture. Besides the music it also contains CD-R = Giovanni Boccaccio’s story with the music of HH-GO.